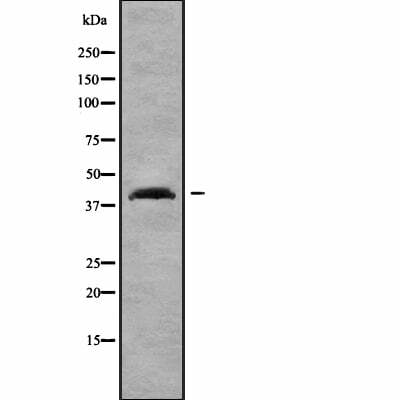 Small volumes of anti-SP6 antibody vial(s) may occasionally become entrapped in the seal of the product vial during shipment and storage. If necessary, briefly centrifuge the vial on a tabletop centrifuge to dislodge any liquid in the container`s cap. Certain products may require to ship with dry ice and additional dry ice fee may apply. Similarity: Belongs to the Sp1 C2H2-type zinc-finger protein family. NCBI/Uniprot data below describe general gene information for SP6. It may not necessarily be applicable to this product. 1. epiprofin (Epfn, also known as Sp6) plays crucial distinct roles in these transition stages as a cell cycle regulator and a transcription factor.